A popular Peak Climbing nearby Mt. Everest. Duration : 17 nights and 18 days. Trek start/end: At Lukla Airport. Climbing season: October to November and April to May. Viewpoints: Kala Pattar and Chhukung Ri. High pass: Khongma La 5535m between Labuche and Chhukung. Grade: Difficulty due to high altitude. Highest elevation: Island Peak 6189m. Trek/climbing style: 15 nights at teahouse + 3 nights camping. Enthnic group: Majority of Sherpas. Monasteries: Khumjung, Pangboche and Tengboche monasteries. Villages: Khumjung, Khunde, Phortse and Pangboche. Himalayan scenery: Thamserku, Kangtenga, Kawangde Peak, Tabuche, Ama Dablam, Puma Ri, Khumbutse, Everest, Lhotse, Nuptse, Island Peak and Makalu etc. Lakes: Cho La Tsho and Imja Tsho. $2150 per person Island Peak 6189m. $2150 per person Crampon point. $2150 per person Island Peak Base Camp. $2150 per person Views of Island Peak from Dingboche. Island Peak is for climbing in the Everest region of Nepal. Locally, it is known as Imja Tse. Internationally, it is popular as Island Peak because it resembles as an Island in a sea of ice when viewed from Dingboche. The peak is rise from an extension of the south ridge of Lhotse Shar (8393m. It has unforgettable views of Nuptse, Lhotse (8501m), and Lhotse Shar to the North, Makalu (8463m) and Cho Polu to the East and Ama Dablam and Baruntse to the South of the summit. We have an experienced climbing guide who fix our own climbing rope and manage the climbs on his professional skills. Our climbing guide gives a class about how to make some useful knots, using climbing devices and techniques at Base Camp a day before you are climbing to the summit of Island Peak 6189m. How difficult is the Island Peak climbing expedition? Island Peak is easy for climbing expedition compared other trekking peaks in Nepal. From High Camp, the path is narrow, steep, zigzags and some scrambling over the rock before we reach to the crampon point at the edge of the glacier. After the set of climbing gears, we climb on the glacier traverse where we cross a few deep crevasses which have to be crossed on ladders to reach the bottom of the summit steep ice wall. Then, we climb to steep summit ice wall where the guide fixes the climbing rope and with a jumar, ice axe and crampon, the summit ice wall climbing is still not totally technical. But, it is still challenging of high altitude. How to reach Island Peak Base Camp? We fly to Lukla Airport from Kathmandu and the walk begins from here. We climb Island Peak combined Everest Base Camp Trek for safe acclimatization including the hike up to Kala Pattar and Khongma La before we are pushing to Island Peak Base Camp. Itinerary of Everest Base Camp Trek with Island Peak Climbing. Please follow the cardboard of High Camp Trekking upon arrival in Kathmandu Airport. Our company representative helps you transfer to the Hotel. We explain about things to do in Kathmandu. All includes: Airport pick up, bed, and breakfast. Day 02: Trek and climbing briefing and preparation day. We explain about each day program and packing list for trekking and Island Peak climbing. 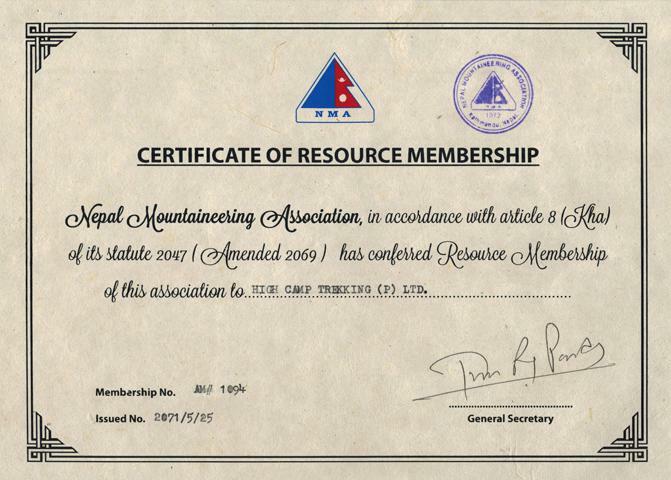 Today, we obtain Island Peak climbing permit in Kathmandu. We take to you for a tour of world heritage site Kathmandu Dharbar Square (Hanuman Dhoka) in the afternoon. All includes: Bed and breakfast. Day 03: Kathmandu to Lukla flight and trek to Manju 2840m/5hrs..
We go to the domestic terminal of Kathmandu Airport after breakfast. We fly to Lukla half an hour. From Lukla, we go downhill through Rhododendron forest and passing Ghat village with its mani mantra walls and monastery to reach Phakding where we have lunch. Then, we follow Dhudha Khosi green valley and pass by Banker village to reach Manju where we spend a night. We see Kusum Khang and Thamserku peaks en-route. All includes: Breakfast, lunch and dinner with tea/coffee. Day 04: Manju to Namche 3440m/4hrs. We buy the Sagarmatha National Park hiking passes in Manju. From here, we go downhill through Rhododendron forest and cross the bridge to reach Jhorsale village. We prepare plenty of water for next steep uphill to reach Namche through the high bridge and pine forests. We could see wild goats (Himalayan Thar), birds and obviously the first glimpse of Mt. Everest en-route to Namche Bazaar. After breakfast, we do a day tour to Everest View Hotel, Khumjung and Khunde village. We visit school and monastery to see Yeti skull in Khumjung village. This is also a scenic and cultural tour. We descend to Namche after visit Khunde village. We spend a second night in Namche for safe acclimatization. Day 06: Namche to Phortse village 380m/6hrs via Mong La. We leave Namche after breakfast. Today, we are heading to Phortse village via Mong La. The path is easy to Kyangjungma through Tenzin Norgay memorial stupa which has fabulous views of Khumbu valley, Mt. Everest, Lhotse, Ama Dablam, and Thamserku etc. There is an uphill walk to Mong La from Kyanjungma. We could see Yaks, Naks, Chauri, and wild mountain goats (Himalayan Thar) en-route. We take a cup of tea at Mong which has stunning views of Mt. Ama Dablam. Then, we catch steep downhill to Phortse Thanga through Rhododendrons and pine forest. After crossing bridge, there comes uphill to reach Phortse village. It is a less crowded village where we could see Pheasant (the national birds of Nepal), Musk deer and Himalayan Thar (wild goats). Day 07: Phortse to Pheriche 424m/6hrs. Leaving Phortse village, we catch less crowded trail to reach Upper Pangboche village which has the best views of Mt. Ama Dablam. There is a monastery which is the oldest in the Khumbu valley. We visit the monastery that has also Yeti skull. Now, we join on the busy trail of the Everest Base Camp to reach Somare where we take lunch break an hour. On next, we catch a gradual uphill trail to reach Pheriche where we spend two nights for safe acclimatization. After breakfast, we hike up to Nangkar Tshang peak (5000m) which has spectacular views of Mt. Ama Dablam, Lhotse, Makalu, Island Peak, Tabuche, Khangtenga and Thamserku and back to Pheriche for lunch. We join for a free class about altitude sickness and precaution by the volunteer doctors at the Himalayan Rescue Clinic in the afternoon at 15:00. We spend a second night at Pheriche for safe acclimatization. Day 09: Pheriche to Lobuche 4910m/5hrs. Pheriche is a grassy land where yaks are grazing around us. Leaving Pheriche, we ascend the valley to reach Thukla where we drink a cup of tea. From Thukla, we climb a steep uphill to get up Thukla Pass where has a line of memorials of the famous mountaineers who died on Mt. Everest. It is a memorable place of trekkers because of the beautiful scenery and yet poignant of tombstones in tribute to the Mountaineers. 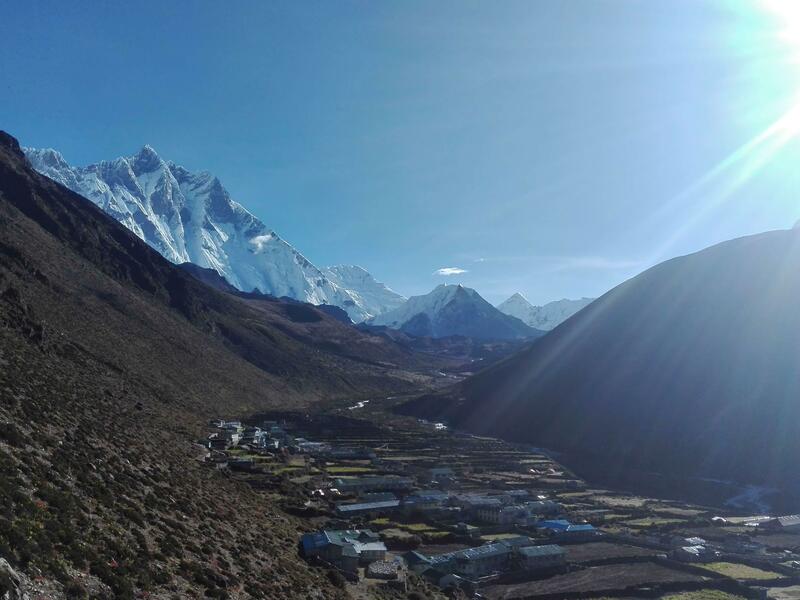 From here, we go to Lobuche through gradual uphill with a beautiful panoramic of the peaks lying on the end of Khumbu valley bordering Tibet. We visit the Italian pyramid in the afternoon. Day 10: Lobuche to Everest Base Camp 5364m/5hrs to Gorak Shef 5140m/2hrs. We are leaving Lobuche early in the morning because we are heading to Everest Base Camp and return to Gorak Shep today. There is a flat walk on grassy land an hour and then comes a short steep climb to Lobuche pass and we follow the Khumbu glacier northward to Gorak Shep where we drop our luggage at the room. We have quick-lunch and prepare a day bag to hike up to Everest Base Camp through rocky trail along the side of Khumbu glacier. We touch the famous Khumbu icefalls and glacier at EBC (5364m) where spend an hour. Then, we back to Gorak Shep where we spend a night. Day 11: Gorak Shep to Kala Pattar 5545m/2hrs to Lobuche 4910m/2hrs,. We climb steep uphill to get up Kala Pattar 5545m which offer 360-degree views of Everest panorama including Mt. Everest, Lhotse, Nuptse, Puma Ri, Lingtren, Khumbutse, Ama Dablam, Thamserku, Taboche Peak, Khumbu Icefalls, Khumbu glaciers, and Everest Base Camp. This is a bit tough but even scenic hike than Everest Base Camp yesterday. We back to Gorak Shep for breakfast and pack the bag. Then, we retrace our footsteps back to Lobuche. Day 12: Lobuche to Chhukung 4730m/8-10hrs via Khongma La 5535m. As an idea of safe acclimatization for Island Peak climbing, we cross Khongma La 5535m to reach Chhukung today. Leaving Lobuche early in the morning, we cross the Khumbu glacier and climb steep uphill to reach Khongma La. The views of iconic peaks and glaciers are spectacular in all directions from the top of Khongma La. Then, we have long and steep downhill to reach Chhukung where we spend a night. Day 13: Chhukung to Island Peak Base Camp 4970m/3hrs. 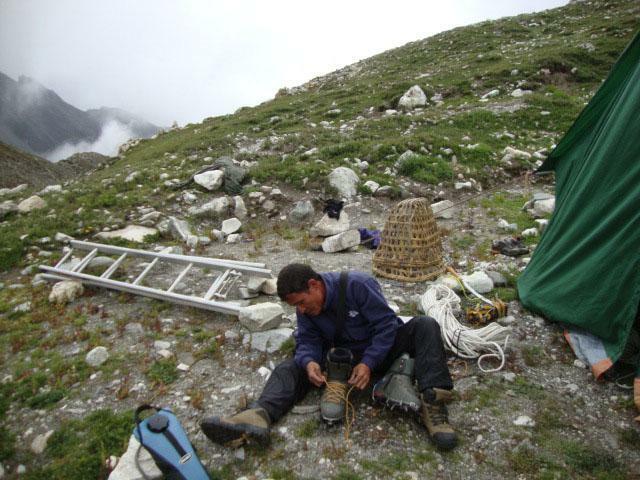 After breakfast, we collect necessary climbing equipment in Chhukung. Then, we head up to Island Peak Base Camp where our cook chef prepares fresh meals and everyone sleeps in tents. Day 14: Rest day at Island Peak Base Camp 4970m. After breakfast, the guide shows you all the necessary climbing equipment, brief about technical part and shows demo how to use climbing gears such as ascend and descend on fix lines on the steep ice wall. We provide this type of training is for novice climbers. Day 15: Island Peak 6189m summit and back to BC 10-12hrs. Today, it is a long and tough day because we do the climbing on Island Peak 6189m as our main objective of the trip. We wake up at 1:00 AM and we head toward High Camp after breakfast. From High Camp, we climb steep uphill over scree to reach narrow gully and some scrambling over the rock before we reach to the crampon point at the edge of the glacier. After the set of climbing gears, we climb on the glacier traverse where we cross a few deep crevasses which have to be crossed on ladders to reach the bottom of the summit ice wall. Then, we climb to steep summit ice wall where the guide fixes the climbing rope and with a jumar, ice axe and crampon, the summit ice wall climbing is still not totally technical. But, it is still challenging of high altitude. The views are unforgettable in all directions from the top of Island Peak. After enjoying summit victory glory and taking some pictures, we descend a long steep downhill all way to Base Camp. Day 16: Island Peak BC to Pangboche 3960m/6hrs. We leave Base Camp after breakfast. We follow the same path back to Chhukung. We continue downhill to the villages of Dingboche and lower Pangboche to reach Tengboche where has the popular monastery en-route of Everest Base Camp Trek. The monks chanting at the monastery and Sunset views on Mt. Everest are not to be missed from Tengboche. Day 17: Pangboche to Namche 3440m/6hrs. Leaving Tengboche, we go downhill path through Rhododendrons and pine forest to reach Phunki Tenga where the army checks hiking passes. From here, we go uphill to Lausasa and continue to Kyanjuma where we drink a cup of tea. Then, we head to Namche through the fairly easy path with nice views of Mt. Everest and Ama Dablam. We have free time in Namche in the afternoon. Day 18: Namche to Lukla 2840m/7hrs. Today, we end our walking at Lukla. Leaving Namche, the police checks hiking passes on the end of the village. From here, we descend to the Top Danda where we have the last chance to see the Mt. Everest and continue downhill to high bridge and Jhorsale. We have a short steep uphill to Manju, Sagarmatha National Park office where our hiking passes exit. From here, we continue walking along the Dhudha Kosi valley to reach Pakhading where we take lunch. Then, we head to Lukla where we spent a night at the end of the trip. Day 19: Lukla to Kathmandu flight in the morning and free time in the afternoon..
We take a flight from Lukla to Kathmandu in the morning and check in to our Hotel. We have free time in Kathmandu in the afternoon. All includes: Breakfast and Hotel transfer. Day 20: Free day in Kathmandu (buffer day). In case Lukla flight is canceled due to weather, we use this day for waiting flight on the following day. Day 21: International Airport departure. Our company representative drops you at the Kathmandu International Airport in time for the flight back to home. All includes: International Airport departure. Trek itinerary can be changed for an interesting side trip and additional acclimatization day if needed while on the trek. Do you have any questions about Everest Base Camp Trek with Island Peak Climbing? Or, would you like to see how it can be customized to your needs? Please DM us. The following cost and date are for per person for online booking. If the Everest Base Camp Trek with Island Peak Climbing departure dates do not match for you, please DM us and we will happily customize your trip on the date that you need. Fixed departure dates for Everest Base Camp Trek with Island Peak Climbing. International & domestic Airport picks up and departures. 2 nights accommodation (standard twin bed room with breakfast) at 2** Hotel in Kathmandu. Sagarmatha (Everest/Khumbu) National Park hiking passes. Khumbu (Everest) local Govt. Tax. Island Peak climbing permit fees. Round trip Lukla flight tickets for clients and guide. Teahouse & camping meals for clients: 17 Breakfasts, 17 Luches and 16 Dinners with tea/coffee etc. Meals can be selected from menu and will have enough daily. Normal room with twin beds and sharing bathroom at teahouse. All necessary camping and kitchen equipments at Island Peak BC. All necessary climbing equipment (personal and sharing climbing equipment with a group). Climbing course at Island Peak BC for couple of hours. First Aid Kit. First Aid Kit. Our guide trained in Wilderness First Aid. 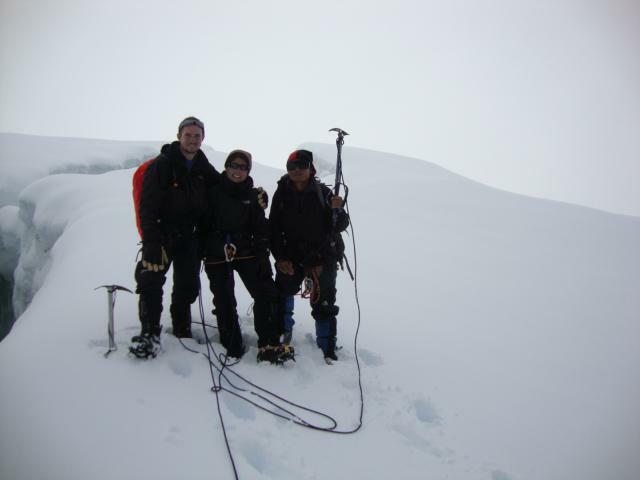 Trekking & climbing staffs: an experienced trek & climbing guide, cook and necessary porters. Salary and meals for trek & climbing guide, cook and porters. Inusrance of trek & climbing guide, cook and porters. Rescue arrangment if needed while on the trek & climbing. Mineral water, boiled water, coke, Fanta, sprite, fresh or can juice, biscuit, sprite, beer, and whiskey etc. Personal Insurance of clients (medical and emergency evacuation covered). Private bathroom during the trekking days. Horse/Yak renting while on the trek. Sightseeing in Kathmandu, Bhaktapur and Patan etc. International flight tickets and Nepal tourist visa (you can obtain tourist visa upon arrival in Kathmandu Airport. Please read carefully cost includes and does not include above. All the meals are included with tea/coffee while on the trek. We do not include drinking water or boil water which you can buy at teahouse; this is $1 to 3 per liter. You can take water purified tablets or Seripen for a cheaper solution. Wi-Fi, battery charge and hot showers are not included. Wi-Fi is $20 for 10GB and USD30 for 20GB unlimited for the per card. Battery charge is $1 to 10 per hour per device (you can take power bank for a cheaper solution). The gas shower is USD3 to 7 per head. In case Lukla flight is canceled due to weather condition, you are responsible for extra Hotel nights and meals in Kathmandu and Lukla for any extra days. Do not require extra payment for rescheduling Lukla flight due to canceling of weather. But, there can be less priority for flight cancel passengers on the following day. If there are unexpected circumstances such as flight cancellation due to weather condition, we offer you an alternative trip. 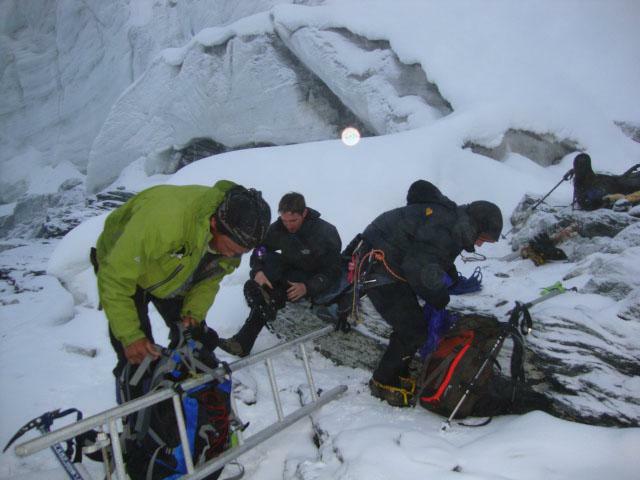 We do insure for trekking & climbing staffs and provide warm enough equipment. We do our best for your safety. Although we suggest you buy comprehensive travel Insurance that can cover flight cancellation, medical treatment, and Helicopter rescue emergency evacuation. Please buy the policy that can cover for trekking & climbing activity up to 6000m for the days you will actually be trekking. Comfortable hiking boot. Four pairs of socks. Sandals. A down jacket, fleece jacket, three T-shirts, two trekking trousers, two drip-dry T-shirts, one long underwear, a woolen/fleece hat, glove, water/windproof jacket and trouser, Sunglass, lip balm, Sun screem (50+), Sun hat, a light scarf, soap/shampoo and trekking towel etc. Sleeping bag (-20 degree centigrade) with hood. Water purifier tablets, 2L water bottle, hiking poles, medical kit and tourch light with spare batteries etc. Personal climbing gears: Climbing helmet, harness, prussik rope, tape slling, ice axe, Jumar (Ascending device), ACT guide (belay device), climbing boot, crampons and lock carabiners. A few interesting books and a pack of cards. Plastic bag for waste and toiltet papers. A day bag (25 to 35L) or rucksack large enough (65 to 75L) size. Note:- we have a down jacket and sleeping bag renting facilities for our clients. It is per day USD1 per sleeping bag and down jacket. We are registered on Department of Nepal Tourism and have authority to operate trek and climb in the Himalayas of Nepal. We are the Taxpayer to Nepal Govt. We are healthy and up to date a local trekking agency based in Kathmandu. You can book the trip on the minimal advance in money and can pay the balance rest of the trip amount upon arrival in Kathmandu. We organize group joining basis trip. Our package is with all-inclusive prices (no hidden cost). We customize the trip itinerary based on your interesting side trip, holiday's length and activities as you need. Lets us know your holiday's length.